Every feature is chiselled and sharpened to enhance RX's road stature and aura of rock-solid stability. A precisely honed character line runs from front to rear, creating an arrow-like profile with the flowing roofline to minimize drag, reduce noise and lend stability at high speeds. In addition to the standard five-seater, the all-new RX L will feature more storage space, longer wheelbase, and capacity for up to seven passengers. RX's Active Torque All-Wheel Drive (AWD) system gives you the traction performance that only an AWD system can provide, while featuring the ability to efficiently distribute torque between the front and rear wheels. The result is a crossover that achieves enhanced fuel efficiency while faithfully following your intentions. Immerse yourself in a realm of sublime comfort and superb craftsmanship, complete with a heated leather steering wheel, and elegant touches like a hand-stitched leather dash and choice of Walnut, Shimamoku, F SPORT or Laser-Etched Wood trim. At the touch of a button, RX’s panoramic glass roof opens up a window on the sky -- while its unique outer-sliding design opens up more interior headroom than a conventional moonroof. Available on Executive, and F SPORT Series 3 packages. 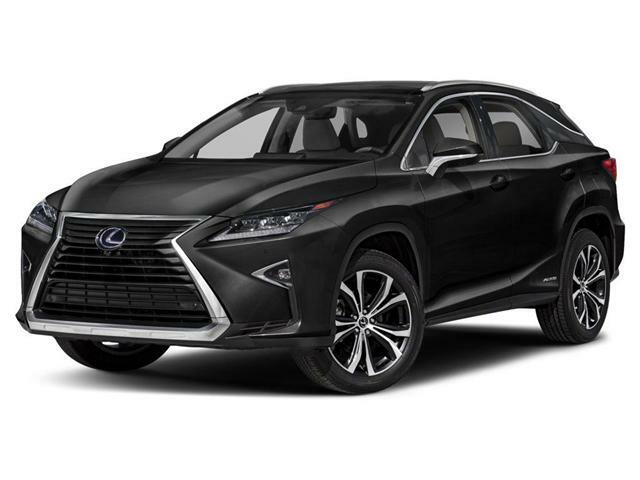 The 2018 RX 350 and 450h feature comprehensive safety technology – from standard Blind Spot Monitor with Rear Traffic Alert, to now standard Lexus Safety System+ (LSS+). Harmonious interaction and intuitive control are hallmarks of the 2018 RX experience. With a wide, full-colour Head-Up Display (HUD) available on Executive package and F SPORT Series 3, RX projects real-time driving information on the lower driver-side windshield, including speed, gear selection and turn-by-turn navigation. Lexus RX’s offers impressive standard audio and connectivity options, like a 12.3" Colour Display Screen, available on select models, add a Wireless Charger for improved convenience, while taking your audio experience to another level with a 15-Speaker Mark Levinson® Audio System. 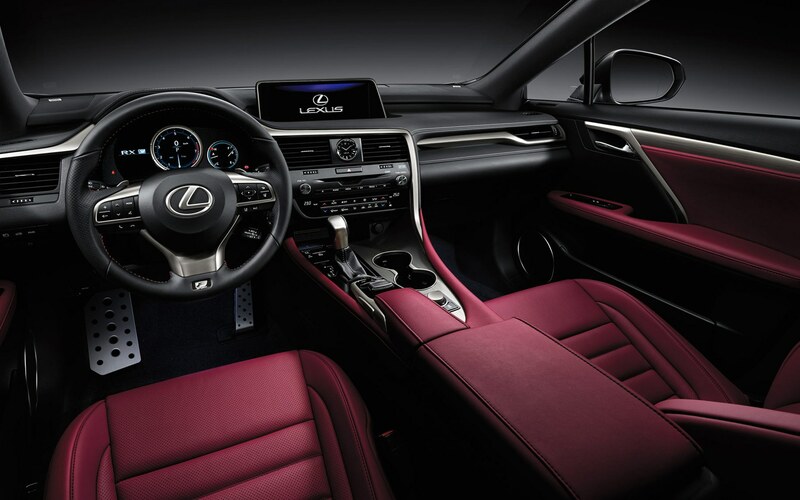 Audio, climate, navigation and other connected device control is at your fingertips with available Lexus Remote Touch (LRT) paired with voice-activated Hard Disk Drive (HDD) Navigation. The "One Push" confirmation, reintroduced dual-side “Enter” buttons and new “Back” switch make operation even easier and more intuitive. This convenient technology is standard on RX 350L and RX 450h. Thrill to the power of commanding performance. RX's 3.5-litre V6 has been tuned to 295 HP on gas models, while hybrid models generate 308 Net HP in combination with an advanced electric motor and an Atkinson-cycle V6. 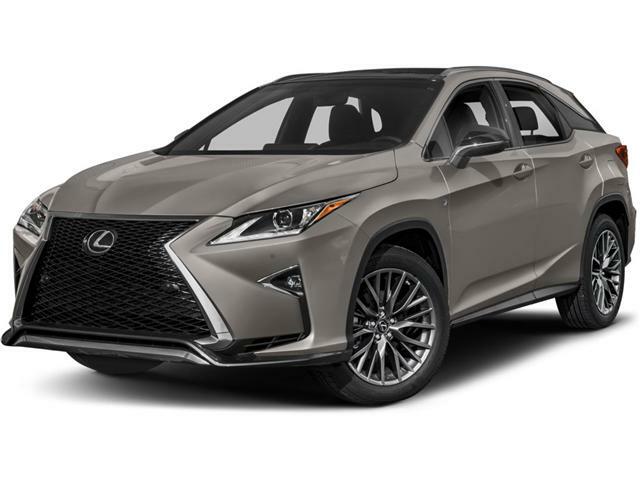 RX 350 – and, for the very first time, RX 450h – are both available with dynamic F SPORT packages. 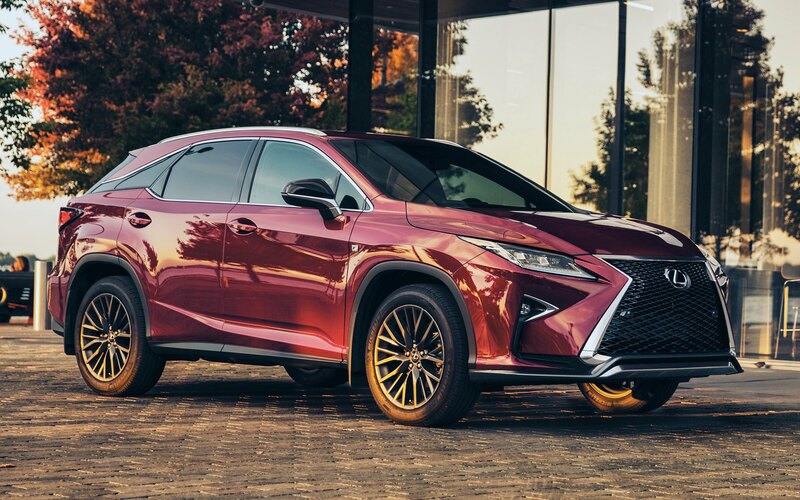 Lexus RX’s Drive Mode Select gives improved acceleration and steering performance with three distinct drive modes – Eco, Normal, and Sport S – to match your mood and the terrain. F SPORT 3 package adds an additional Sport S+ Mode as well as Customize Mode, which lets you adjust the operation of the powertrain, chassis and air conditioning functions to suit your personal preferences. The 2018 RX features comprehensive safety technology – from standard Blind Spot Monitor with Rear Traffic Alert, to now standard Lexus Safety System+ (LSS+).